Invigor Group Limited (ASX:IVO) today announced the expansion of Skyware Service Control — its logistics and workforce management solution — into the Asia Pacific region. A division of IVO’s Berlin-based services and software solutions business Condat AG, Skyware has received considerable interest in Europe, with the company predicting it has the potential for similar success in Asia Pacific. The unique cloud-based platform assists ecommerce companies in managing mobile workforce deployments to streamline delivery and mobile order management — in particular, the ‘last mile’ aspect of the process. It includes automated, GPS-assisted field force dispatching as well as mobile order management functionality, resulting in cost savings and greater productivity for the companies who use it. The current list of Skyware customers includes Daimler Benz, Liberty Media Group and the operator of German railway network Deutsche Bahn. Skyware is currently experiencing year on year growth of 100 per cent, and with the above clients on board, is currently forecast to generate an impressive $2 million in revenue in CY2018. The platform’s sales pipeline has grown significantly over the last six months, and the company expect an even greater acceleration of revenue and earnings growth via its expansion into the Asia Pacific region. 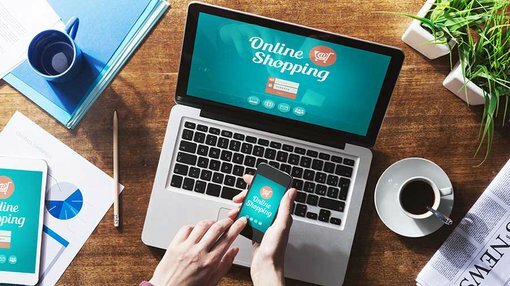 In commenting on today’s announcement, CEO Gary Cohen said: “Given the recent success of other delivery optimisation platforms such as GetSwift, there is a significant opportunity to capitalise on the huge growth of eCommerce and logistics businesses that rely on a “last mile” eCommerce logistics solution such as Skyware to effectively deliver their products and services. “Optimising workforce mobility to deliver productivity gains among large employers is also a largely untapped and growing market. We have identified Skyware as a high growth opportunity within Invigor, and launching the technology in Asia Pacific and other markets where we have a presence will lead to considerable revenue and earnings. Earlier in the month, IVO announced it had secured major Asian mall group ‘AyalaLand’ as a new client of its Visitor solution, a module referred to as ‘Google Analytics for physical venues’. The company also strengthened its footprint in the alcoholic beverage market in November by signing up leading winemaker Accolade Wines. The agreement specified the use of a third platform of IVO’s, Insights 360, which enables clients access to timely data relating to changes in industry and pricing conditions.